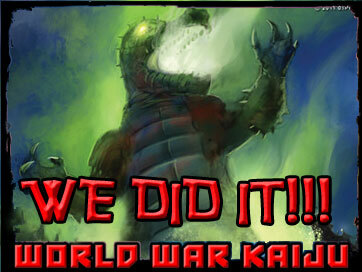 According to the latest update from the Kickstarter funded graphic novel World War Kaiju there has been another delay with the printing. This time there was an issue with the glue that held the book together but it was caught early and is being worked on. I cannot wait to receive my physical copy of this book. I did not read my digital version because I want to experience the physical copy of it first. I have followed the creation of this novel from the beginning and can tell it will be a great read. So keep a look out for World War Kaiju the way the update sounded like we will most likely see the physical copy mid August. I cannot wait to get my copy! 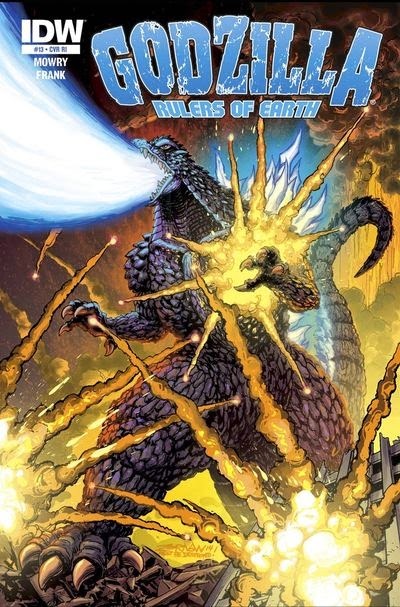 This issue starts off on Monster Island 4 years after the events of issue #12. We learn that there has not been a Godzilla sighting for 4 years. Monster Island is now a Kaiju sanctuary that has been run pretty well with very few incidents. 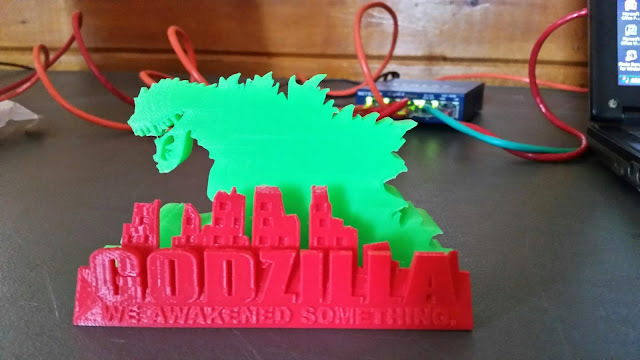 Zilla has just appeared off the shore of Monster Island but has not yet made the Island his home. We learn the the world governments no longer wish to fund the search for Godzilla or any other Kaiju that have not yet been discovered. The government believes Godzilla is dead and that funds can be better spent instead of maintaining a home for the Kaiju on Monster Island, and chasing after Godzilla. We then see a group of men in the arctic that are out clubbing seals when on unfortunate hunter comes across a just awakened Godzilla. The government is about to find out that they were wrong about Godzilla being dead.